An iPad is an Apple product that is similar to a small computer. With a touch screen and a light-weight body, the iPad is a great way to stay connected while on the go. 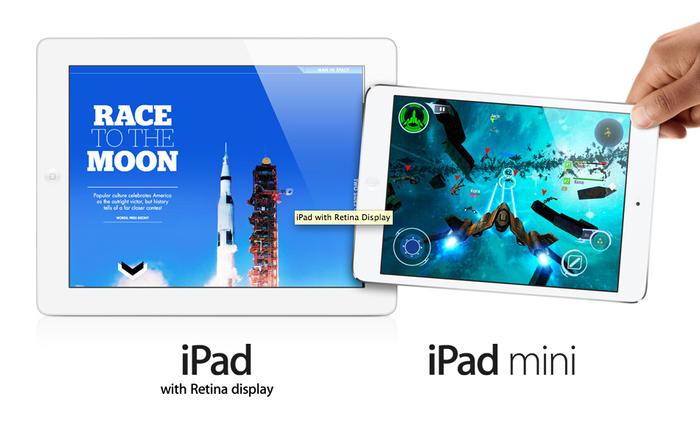 Check out apple.com/ipad to learn more about the iPad! An application or "app" is a small program that can be downloaded to your tablet or phone. There are thousands of apps available, both paid and free, that can make your life easier, play games and create things like videos, photo collages and artwork. 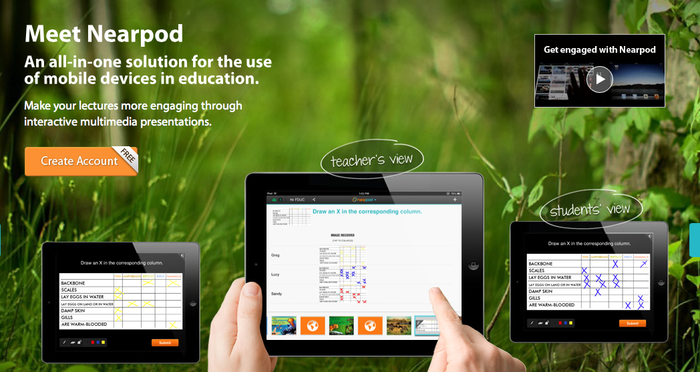 Nearpod is a presentation facilitation app that can share files with near-by iPads. In the classroom, a teacher can use the app in a lecture with a 1:1 iPad school to share PowerPoint presentations. Nearpod allows the presenter to add small quizzes, videos and other fun information and assessment tools in presentations. Dropbox is a great tool that is essentially an online external hard-drive. Users can back-up all of their documents, pictures and music to the online "dropbox" so they can use them on the internet or retrieve them at their leisure. This is a great app to use in case your computer ever crashes! Nook, owed by Barnes and Noble, is an online bookshelf for digital books, magazines and media. Through the Nook Store, users can download books and such to their iPad to read at their leisure. These slides were used as part of my presentation at the Apple Store Upper West Side on December 1, 2011. Guaranteed to improve classroom learning! 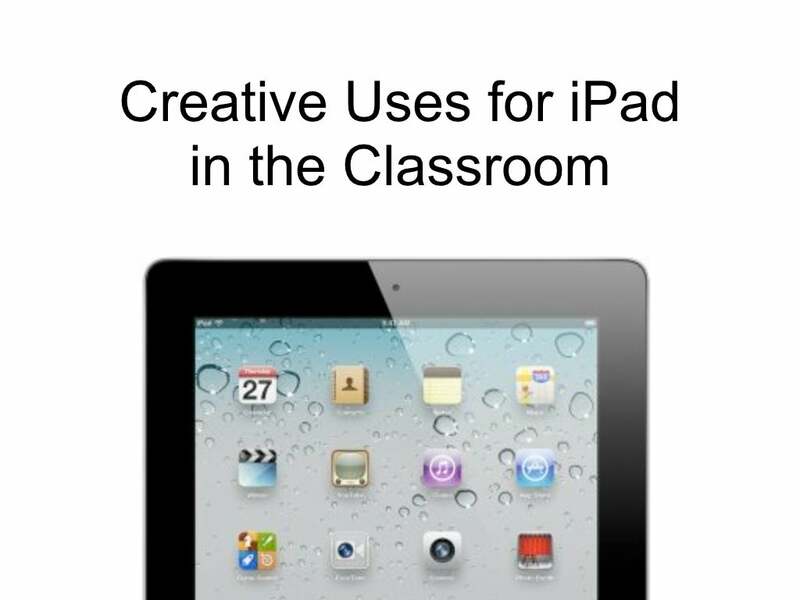 Looking for more information about iPads in your classroom? Check out the links below for research, ideas and much more! 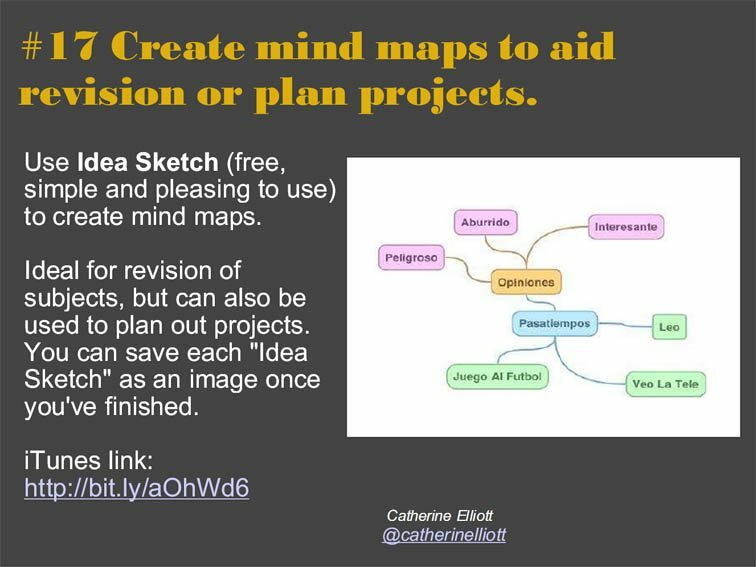 How can I implement this into my classroom? Check out pinterest.com for ideas. Check out the embedded links throughout the poster for more ideas! Khan Academy is a study tool that includes multiple step-by-step tutorials for a variety of STEM subjects. Have a students struggling with fractions? Have them watch a fun fractions video with broken-down instructions. The videos include multiple means of representation and is great for any kind of learner! StudyBlue is a free app that is essentially a box of flashcards for your iPad. Instead of writing note-cards, you can type your class information directly to an online flashcard. This app is available for iPhone also so you can study anywhere, anytime! Haiku Deck allows users to create PowerPoint-like presentations right from your iPad. WIth new technology, media and artwork, make your presentations beautiful and interesting! Discover some great tips, tricks, and tools for bringing iPads into the classroom to help students learn better faster. Dummies.com has the iPad information you need.